For the first time, I planted pumpkins. They are a beautiful orange color, but how do I know when they are ripe enough to pick? Pumpkins are ready to harvest when they have reached the desired color and the rind is hard. You can test its readiness by jabbing your fingernail against the outer skin, or rind. It should be strong enough to resist puncture. Also, you can tell a pumpkin is ripe if you hear a hollow sound when you thump on it. Pumpkins are usually ready to harvest by mid-fall and you definitely want to bring them in before the first frost or when night temperatures are expected to drop down into the 40s for an extended period of time. When harvesting, use a sharp knife to cut the pumpkin from the vine, leaving about 2 inches of stem. Handle carefully to avoid any nicks or bruises that will accelerate decay. You can increase the shelf life by curing your pumpkins before storing them. The procedure is simple. Gently clean the pumpkins by brushing off any excess dirt and then place them in an area with a temperature of about 80 to 85 degrees F with 75 to 80 percent relative humidity for 7 to 10 days. 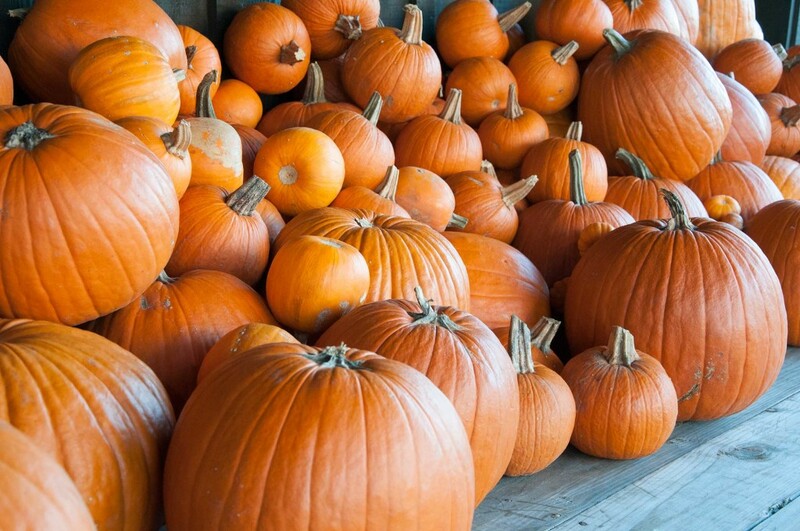 After they have been cured keep your pumpkins in a cool location (about 50 to 60 degrees F), out of direct sunlight with plenty of good air circulation. Stored this way, they should last up to 3 months.